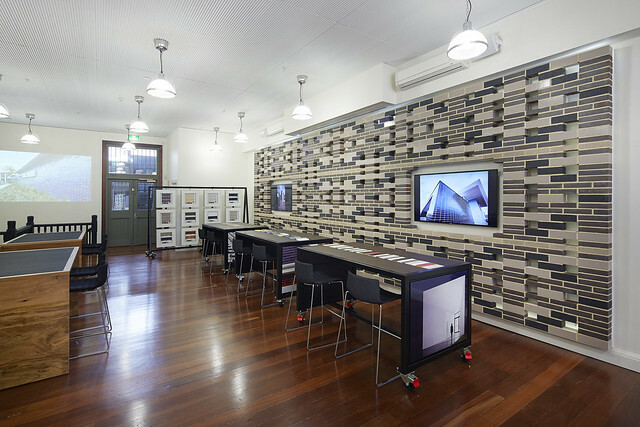 Brickworks Building Products have recently moved into a gorgeous new studio space at 2 Barrack Street Sydney. TThe design studio is a totally functional space, providing a sophisticated showroom for architects, designers and developers as well as retail customers to make new products selections. Housing the most extensive selection of building materials available anywhere, creating an impressive building product library boasting everything from brick, block and stone, timber and cladding to concrete and clay roof tiles. around the western suburbs for building products, are now over. Our innovative product displays help to ease the selection process and we offer professional advice for product specifications on site. The studio also offers networking events and opportunities for architects, designers and developers ensuring you are kept up to date and informed on all available industry and Brickworks Building Products developments. Industry professionals, style conscious home builders and passionate renovators can now immerse themselves in the total Brickworks experience with the launch of the first Brickworks Design Studio in South Australia. The studio in Adelaide’s Hindmarsh Square is the home of the most extensive selection of building materials available anywhere, creating an impressive building product library boasting everything from brick, block and stone, timber and cladding to concrete and clay roof tiles. 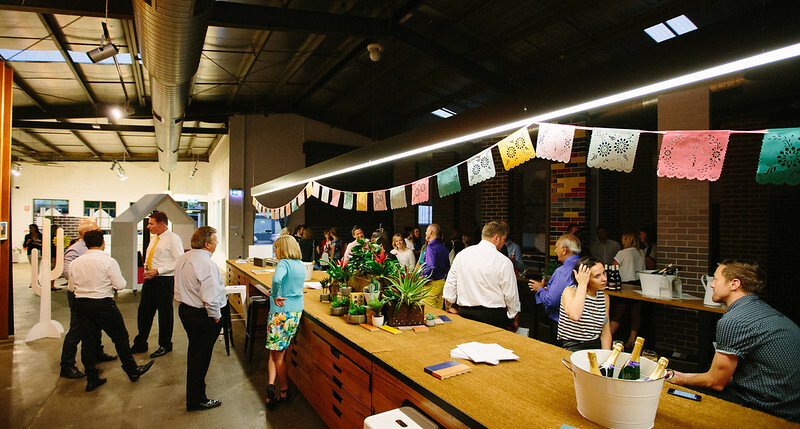 Connecting the purity of the South Australian style with the sophistication of its design craftsmen, the Adelaide Brickworks Design Studio reflects the local design aesthetic and exhibits function and form in this new creative and inspiring design space. 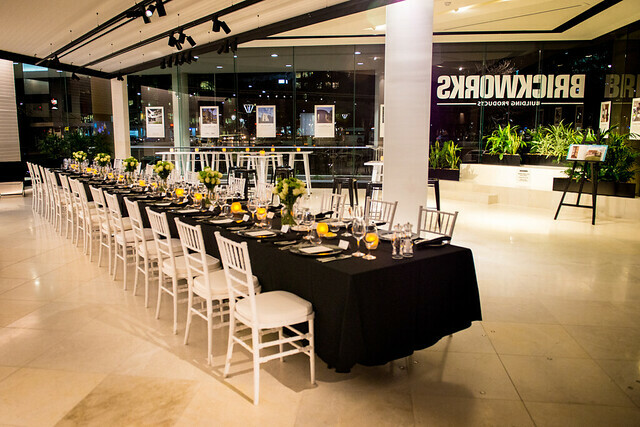 The new space is not only a working design inspiration showroom but can be effectively and easily transformed into an event space spilling out onto the adjoining terraces. 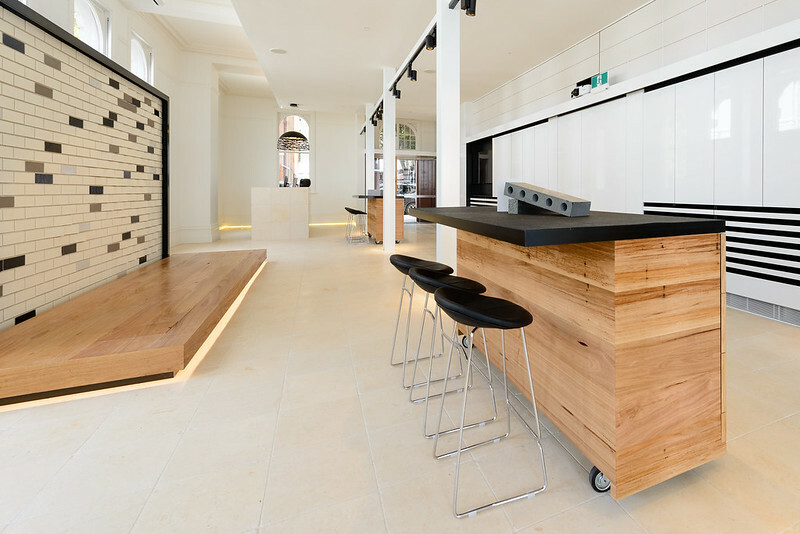 Built by Schiavello and designed by local firm Walterbrooke Architects the team drew on their insider regional knowledge to create a dynamic and approachable space for industry and consumers alike. A new designer name has arrived in Perth’s premier street! Chanel. Prada. Louis Vuitton. 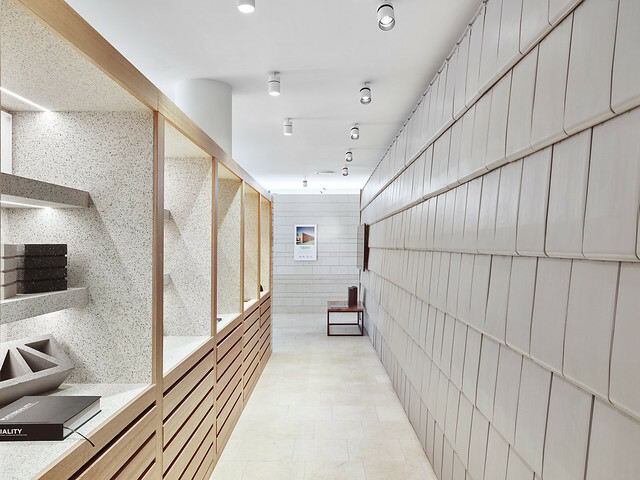 Tiffany & Co.
King Street, at the west end of the Perth CBD, is famously home to a number of select high-end designer stores, and now another well-known name has arrived on this iconic retail strip – Brickworks Building Products. 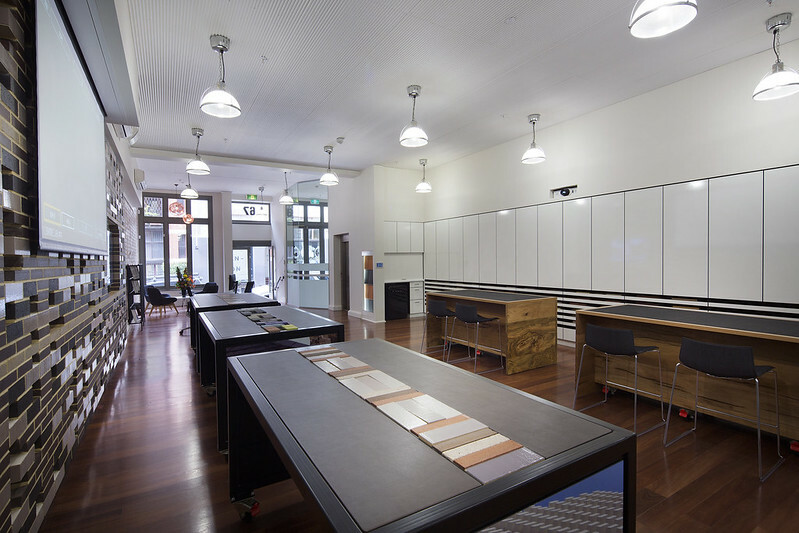 The first studio of its kind in WA, Brickworks Design Studio, at 67 King Street, provides a sophisticated and innovative inner-city environment from where to select your building products. 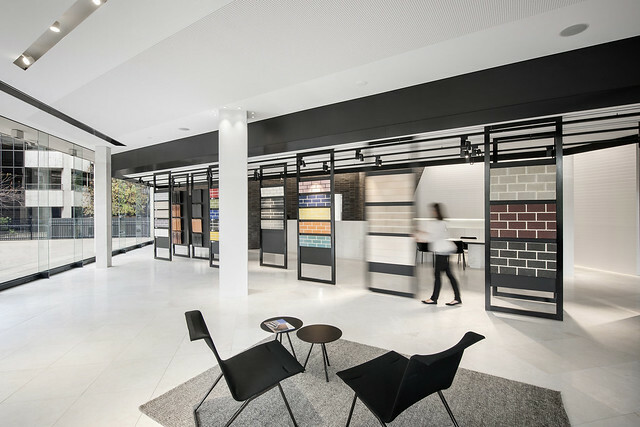 Designed in conjunction with local architects Fratelle Group, the showroom illustrates Brickworks enthusiasm for engaging designers, architects and home builders alike with a diverse range of product. 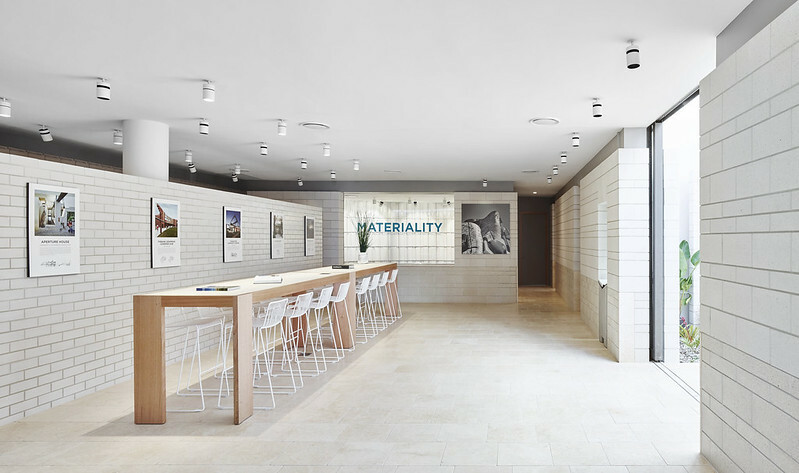 The new studio showcases products from the entire suite of Brickworks brands including Austral Bricks, Bristile Roofing, Auswest Timbers and Austral Precast. Customers, builders’ clients and owner-builders who work or live in the CBD and inner city will also have the opportunity to carry out their selections of building products in a sophisticated design environment. Each display area has been carefully thought out and constructed, utilising the latest technology to ensure ease of use. A dramatic entry featuring a striking feature Jali wall set against the original heritage brickwork sets the scene for the main design and selection space, where the latest brick, timber, tile and precast products can be easily compared and coordinated thanks to interchangeable displays. Apple iPads connect to two LCD screens and a drop-down projector to display plans and imagery whilst carrying out selections. This is also a space where decision-makers gather – architects, designers and planners – for presentations, launch events and private showings. Beautiful heritage, an inner-city vibe, the latest building products and cutting-edge design – it’s innovative, it’s exciting, and it’s well worth a visit! 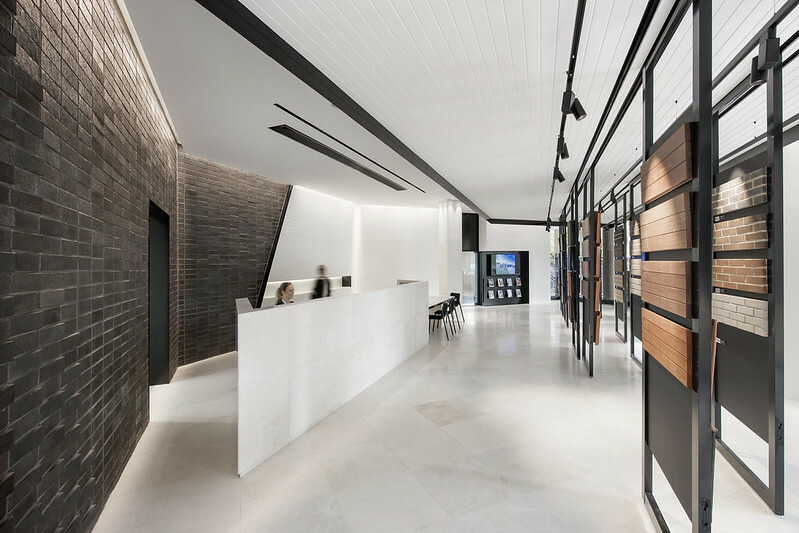 Our Melbourne Design Studio is a totally new concept providing a sophisticated and stylish space for architects, designers and developers as well as retail consumers. Housing the most extensive selection of building materials available anywhere, creating an impressive building product library boasting everything from brick, block and stone, timber and cladding to concrete and clay roof tiles. Industry professionals, style conscious home builders and passionate renovators can now immerse themselves in the total Brickworks experience with the launch of the first Brickworks Design Studio in Queensland. 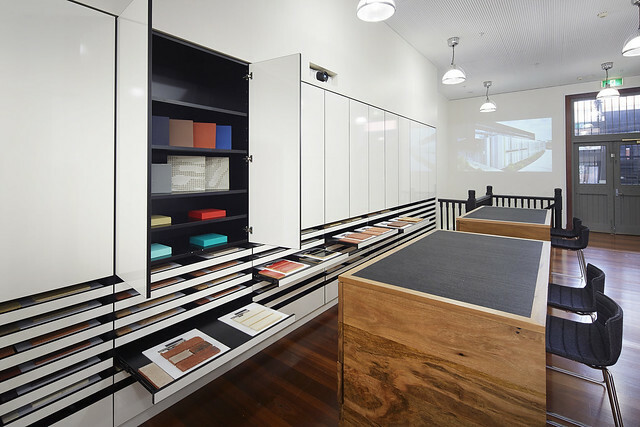 The new design studio in Brisbane’s James Street was recently opened on the 25th June and is home to an extensive selection of Brickworks building materials. Creating an impressive building products library boasting everything from clay brick, block and stone, timber and cladding to concrete and clay tile, the new studio is housed in a sleek building, providing the ultimate creative and inspiring design space. Connecting the optimism of Queensland style with the sophistication of its craftsmen, the Brisbane Brickworks Design Studio reflects the local design aesthetic and exhibits function and form, whilst creating an environment where home builders, architects and designers alike can feel comfortable selecting their interior and exterior building materials. The new space functions not only as a working design inspiration lab but also as an event space, taking advantage of the excellent design created by award winning local practice Richards and Spence. The architectural team has drawn on their insider regional knowledge to create a dynamic and approachable space for industry and consumers alike. Industry professionals, style conscious home builders and passionate renovators can immerse themselves in the total Brickworks experience with the Brickworks Design Studio in Tasmania. The design studio at Hobart’s Franklin Wharf was recently completed in March 2016 and is home to an extensive selection of Brickworks building materials. The Studio stores an impressive building products library boasting everything from clay brick, natural stone and timber, to cladding product and clay tile. The Studio is housed in a character-filled heritage building on the shores of the harbour near Salamanca’s thriving modern architectural precinct within a strong local community of designers and artisans, with the world-renowned MONA gallery ferry at its doorstep. Connecting the rawness of Tasmania’s wilderness with the sophistication of its design craftsmen, the Hobart Brickworks Design Studio reflects the local design aesthetic and exhibits function and form in a creative and inspiring design space. 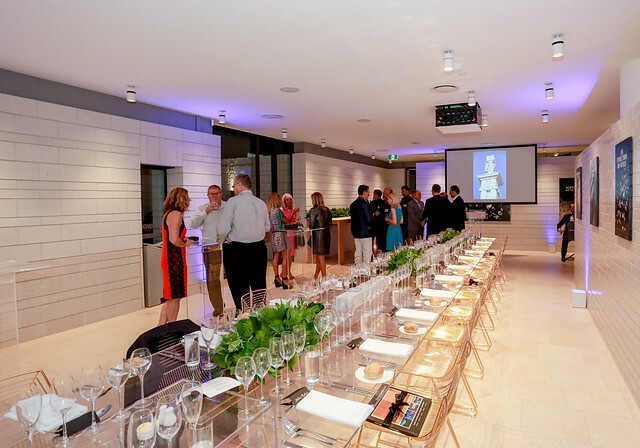 The space can be also effectively and easily be transformed into an event space, taking advantage of the excellent interior design created with local Tasmanian designers BYA Architects, and constructed by the reputable local company CWD. The architectural team has drawn on their insider regional knowledge to create a dynamic and approachable space for industry and consumers alike. 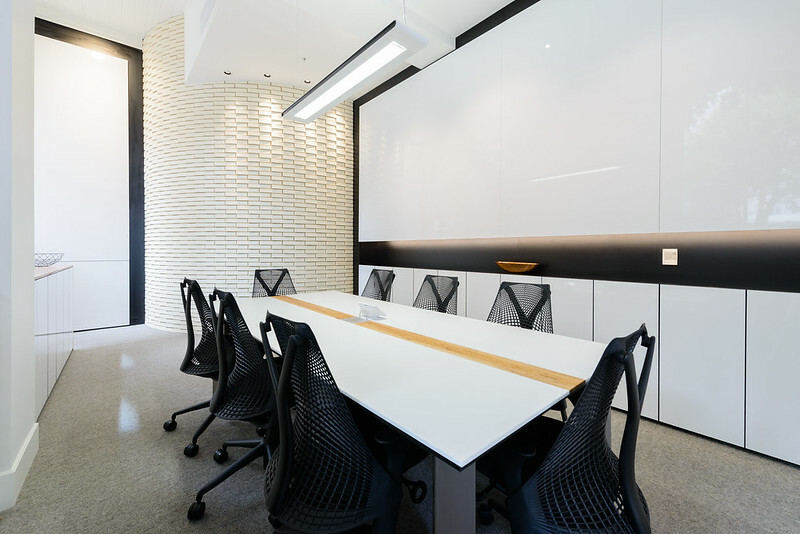 The studio integrates a state of the art kitchen and the latest technology to support the custom built boardroom and building products selection space, ensuring maximum ease of use.